Have a video for you today. I haven't been happy with the quality of my videos lately, so let me know what you think of this one. I think it came out pretty good. 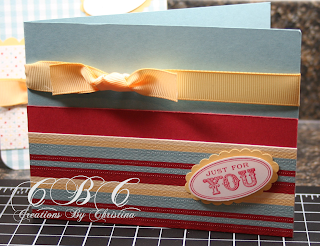 Yesterday's post I gave you a sneak peek to the new oval scallop punch coming out in the Mini Catalog on April 1st. Today's video features that punch. Sorry about the end of the video. The battery died and I only really needed about 10 seconds more to finish. grrr. Here is today's video. Enjoy! Card Recipe all products (c) Stampin' Up!